When lights whirl over the clear winter night sky north of the Arctic Circle, everyone raves about the fascinating spectacle. The polar lights are nature's mystical show and appear when electrically-charged particles are transported over the earth's atmosphere via a solar wind, thus activating a celestial extravaganza of light. 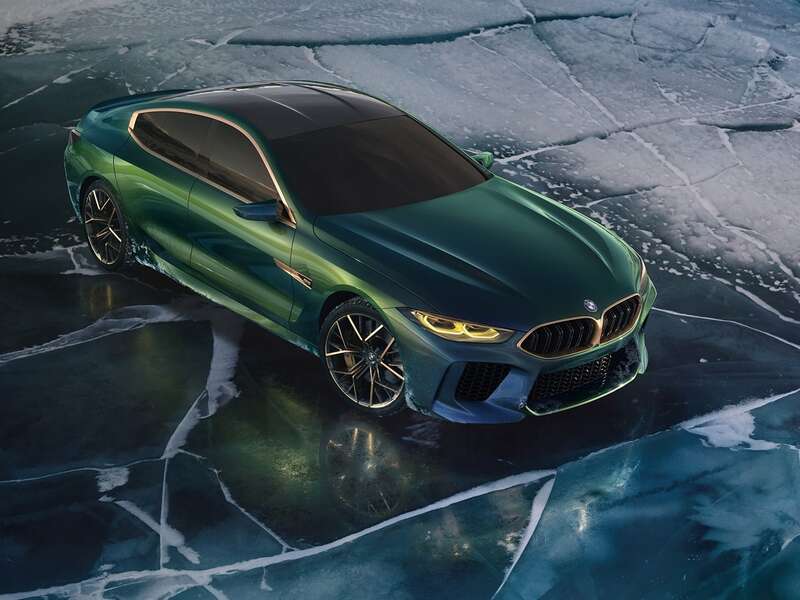 The typical colour of this celestial phenomenon ' also called the Northern Lights ' is a bright green ' which, like the 'Saléve Vert' on the BMW Concept M8 Gran Coupe, can change to a greyish blue. Polar lights also appear in red, violet, white and yellow. What many people don't know: The Northern Lights can also be admired at the earth's South Pole: the so-called Southern Lights. What looks like a scene from the movie 'Avatar' is in reality one of nature's wonders. Microscopic algae fluorescently light up the water at night. Biologists call this light phenomenon bioluminescence. It can be observed, for example, on the beach of Mosquito Bay on the Caribbean island of Puerto Rico. The world-famous painting 'The Scream' by the Norwegian painter Edvard Munch is said to be inspired by the breath-taking glimmering of the polar stratospheric clouds. The phenomenon ' called 'mother-of-pearl clouds' ' arises from tiny ice crystals in the stratosphere, which are illuminated by the setting sun in the dark night sky. The rare colourful clouds form at temperatures of -78 degrees Celsius and can therefore only be admired near polar regions such as Alaska, Siberia and Norway. In the BMW Concept M8 Gran Coupe, the luxurious flip-flop paint finish 'Saléve Vert' gives the vehicle an unusual appearance. The colour changes from green to greyish blue depending on the changing light, emphasising the expressive surfaces and contours of the vehicle, as well as underscoring its sporty and elegant look. Intensely impressive. A glance at its profile leaves no doubt: the BMW M8 Gran Coupe Concept is a performance machine. The long hood, flowing roof-line, and shortened rear create an appearance of high-performance aggression and luxurious aspiration that's simultaneously unique and unmistakable. Hug the road. Unique 21' M light-alloy wheels make an unshakable impression. The star-shaped double spokes feature a two-toned gold and black finish ' a perfect offset to the iridescent colors of the BMW M8 Gran Coupe Concept.